​Join the Jaquith Public Library and the Marshfield Historical Society as we explore an exciting new project! Let’s get together to talk about our Marshfield memories, scan and preserve photos and letters from the past, and share our hopes and dreams for the future. 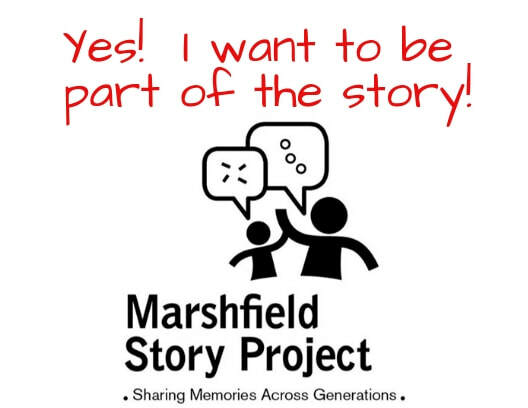 We are working on getting grant funding to support Marshfield Story Project. Stay tuned as we work to make this project a reality. Complete the form below to be added to our mailing list if you would like to be a part of this community project.